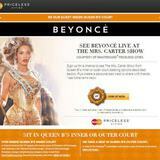 The Mastercard Priceless promotion with Beyonce was a development project with R/GA, a large digital agency based in New York. 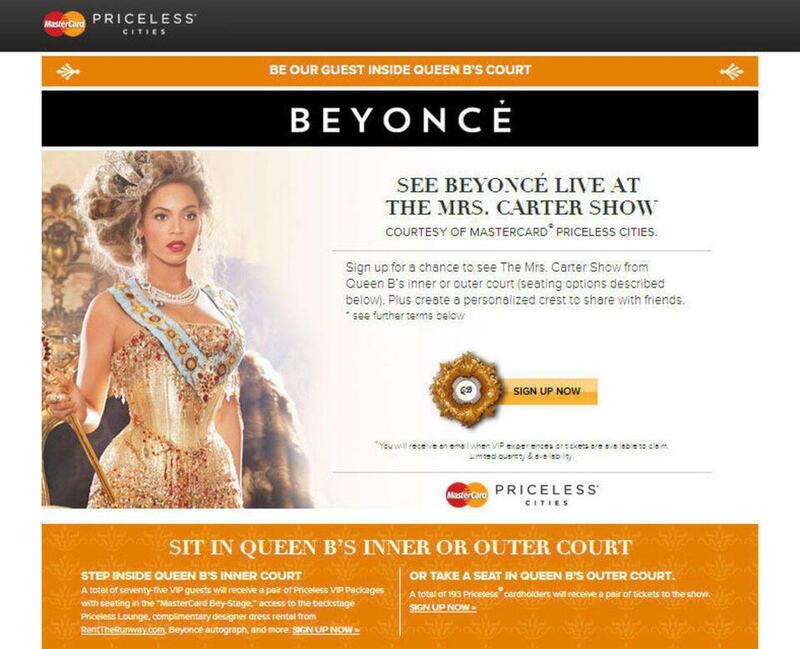 The project involved building a feature to create promotional crests selected by the user and customized to display the watermarked initials of the user. 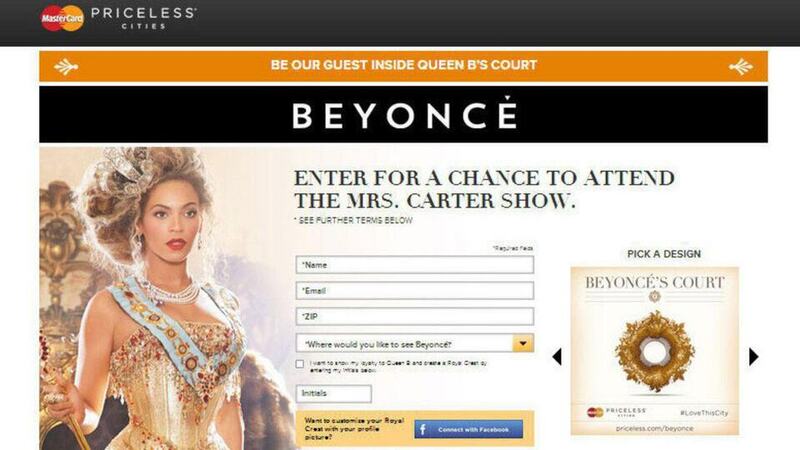 The application also collected the user's contact information when signing up for a sweepstakes to win tickets to a Beyonce concert and sent confirmation emails via SMTP. 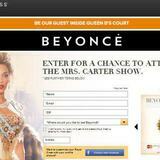 The application utilized CodeIgniter, a PHP-based model-view-controller (MVC) framework. The assignment also involved some light front-end work.